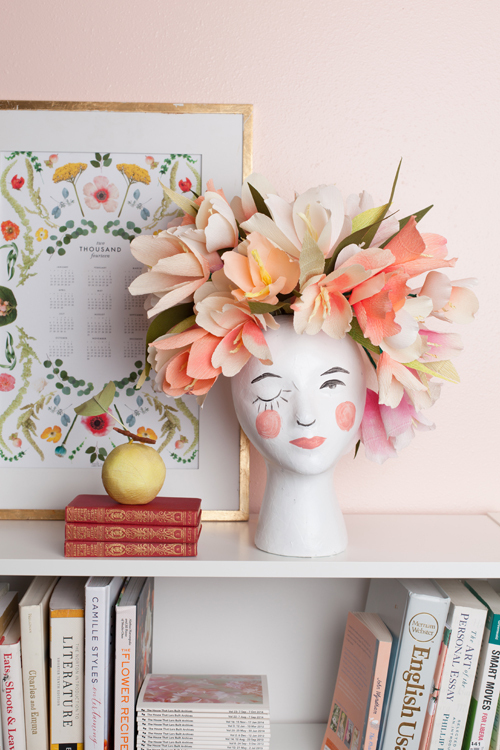 I’ve been eyeing Oh Joy’s ceramic head vases with envy for a few years now. I have a thing for things with faces on it. You know, completely normal. 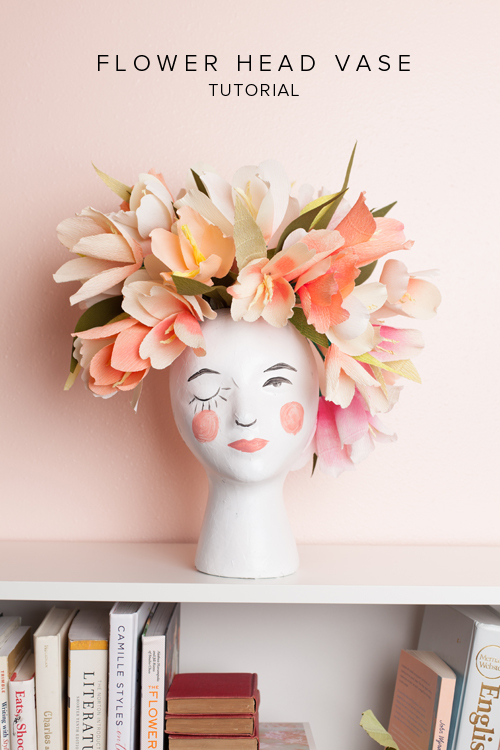 When I was at the craft store a few months ago I spotted these styrofoam mannequin heads and I thought: boom! 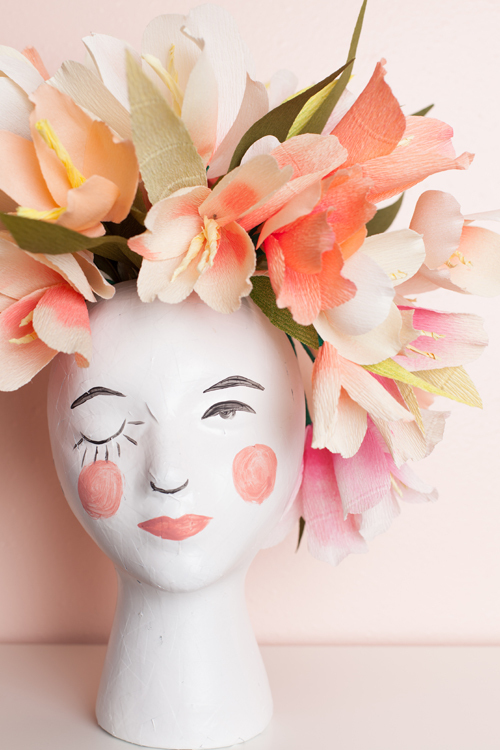 Let’s DIY it! It turned out to be super simple and only $8! Wouldn’t this be fun to make as a gift for the holidays? Cheap and fun! 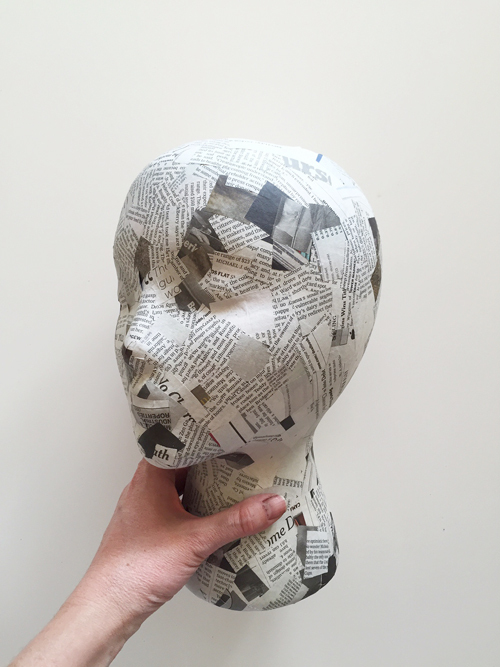 Step 2: If you don’t want to paper mache, that’s completely fine. Use your white spray paint to coat it a few times. Let it dry completely. Step 3: Trace around a glass cup to create the right size hole for your vase. Step 4: Use your x-acto or knife to cut the circle. I found a smaller knife was easier than a large knife. It’s like cutting the top of a pumpkin. Step 5: Take out the excess of the top of the head. Place the cup in the hole. This will be where you place your flowers or plants so it doesn’t make contact with the styrofoam and mold. Step 6: Paint on a face with acrylic paint. I used this template for the faces. Now, gift your vase to a flower loving friend!